Irene Barberis’ Assistants: Heidi Vanzet & Ruby Hoppen. Woven by the Tasara Workshop, Southern India. Cross Form 1 & 2 are a part of the ‘Tapestry of Light ‘Project. 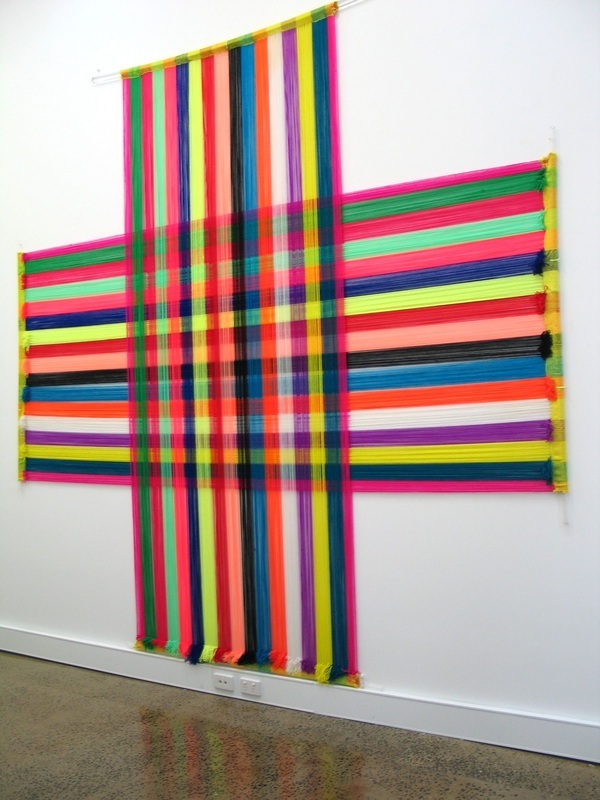 Cross Form 2 is exhibited under ultra violet light at the Latrobe Visual Arts Centre in Bendigo, May 2 – June 18 in the exhibition Apocalypse/Revelation: Re Looking.